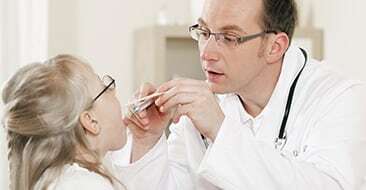 Voice disorders that go away with time are preferable to losing your voice completely. Voice health is something that should be taken very seriously. Communication is a very important part of everyday life, even in the current text happy world. Because we understand how instrumental voice health is to your overall well-being, our professionals at Santa Cruz Ear, Nose and Throat Medical Group are prepared to help you with any throat issues or ailments you might be experiencing. When you feel discomfort or an unsteady change in your voice, looking at your health sooner rather than later could save your voice. At the very least it will lower recovery time and costs associated with getting better. Here are some of the most common voice disorders and what you should look out for with each. Vocal cord paralysis is when the vocal cords can’t move, and goes beyond hoarseness of voice. The condition will also make it hard to breathe and swallow, causing panic in those affected. There are different types of the condition, starting with bilateral vocal cord paralysis. Every human has two vocal cords, so in the case of bilateral vocal cord paralysis both cords are stuck. This is called the paramedian position, and is considered the worst of the two. Repairing the condition may lead to a tracheotomy but is not always the main option. Unilateral vocal cord paralysis is when one side of your vocal cords are paralyzed or has limited movement. Thankfully, it is considered more common between the two conditions. When affected, you can expect to have limited voice functions and to even have troubles breathing while you talk. It is not recommended to speak a lot while you have either one of these conditions, and you should concentrate on just breathing properly until seeing a doctor. For those that depend on their voice this can be a real showstopper, but it’s unlikely that it will happen suddenly. Symptoms show their hand over time, so paying attention to the signs will keep you from having to deal with vocal cord paralysis. Neglect to common voice disorder symptoms can lead to nodules forming on the vocal cords. Vocal cord nodules are benign growths due to prolonged abuse of your vocal cords. They grow on both of your cords, but are noncancerous and treatable. When your voice box goes untreated for a lengthy period of time, there is a chance that you’ll develop swollen spots on each cord. Over time these spots go from soft to hard, and eventually harden to the point they become nodules. If you continue to use your voice while you have nodules, the nodules will become a bigger problem both in symptoms and size. Recognizing the symptoms and taking action when necessary is going to help in the long run. If your voice feels fatigued for extended periods of time, then it may be related to a nodule forming. Other unusual symptoms include a shooting pain from ear to ear, neck pain, and a ‘lump in the throat’ feeling throughout the day. There are of course breathiness and hoarseness attached to the symptoms, but it can be mistaken for other issues when the others aren’t present. When doctors diagnose a nodule, options are plentiful in that it can range from surgical, medical and even behavioral treatment. Nodules can be recovered from with the right treatment, so make sure to notice any signs of a voice disorder when they rear their ugly head. On the other side of voice disorders, there is laryngeal cancer. Patients afflicted with this problem have malignant cancer cells lodged in the tissues of their larynx. This is a very serious cancer that can be caused by tobacco products and excessive alcohol consumption. Other minor causes are nutritional deficiencies, viral infections and genetic predispositions. The majority of laryngeal cancers are squamous cell carcinomas that if left unchecked can cover the entire vocal cord. Symptoms can range from earaches, neck lumps, troubles swallowing and hoarseness. Identifying the cancer early gives a better change of treatable recovery, and in many cases normal vocal function can be restored. After your doctor diagnoses you there will be several options available for treatment, which can lead to a dizzying array of life decisions all at once. The important part of your treatment is to get the most optimal possible with the least amount of risk. A complicated set of factors will help make the decision, so it is important to have an understanding doctor on your side. There are situations where one form of treatment is recommended, then in a different stage of the treatment another becomes more optimal. Getting the best treatment for laryngeal cancer comes down to just how flexible both the patient and doctor are in the given situation. There are three stages to make note of with the disease that can come in early, intermediate and advanced stages. Early stage is obviously the best, and can be treated with radiation therapy or surgery. If reconstruction of the voice box is necessary, modern treatments have advanced to where there is little or no loss at all. At the intermediate stage, patients are looking at size T2 and T3. Surgery becomes a bit more invasive and treatment becomes more varied. Permanent tracheostomy can be avoided in the intermediate stage and some vocal functions preserved. In the case of the advanced stage, choices become limited again. Surgery is an option, usually consisting of a total laryngectomy. In certain situations the cancer growth may need to be attacked with a combination of surgery and radiation therapy. Technology has advanced to where patients in the advanced stage can still retain their natural voice after surgery. Fine needle aspiration is a surgery that is used when swellings or lumps are right under the skin. Nodules and enlarged lymph nodes are usually the culprits of the operation, and it works as a non-invasive way of treating these conditions. FNA is also helpful when testing for cancer and can be combined with other techniques like endoscopy to get a better layout of the patient’s health. As an outpatient procedure it is very short and takes under 10 minutes total after puncturing the skin. It’s also helpful since the collected sample can be examined immediately, but it isn’t out of the ordinary for it to be sent off for further testing. For patients at risk of laryngeal cancer, this may be a lifesaver in terms of detecting the cancer in its early stages. If you are experiencing any persistent or painful difficulties with your voice or vocal cords, contact a professional at Santa Cruz Ear, Nose and Throat Medical Group to schedule an appointment with one of our expert professionals!